Product prices and availability are accurate as of 2019-04-08 00:14:57 EDT and are subject to change. Any price and availability information displayed on http://www.amazon.com/ at the time of purchase will apply to the purchase of this product. 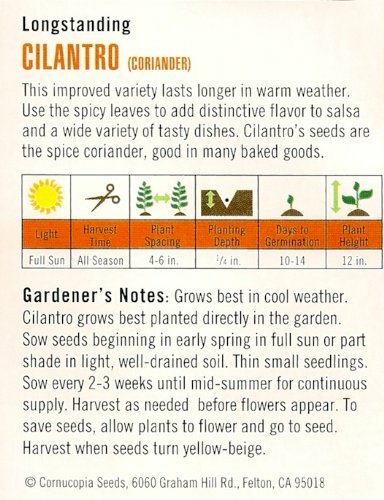 Improved variety that's slower to bolt in warm weather for a longer harvest time. 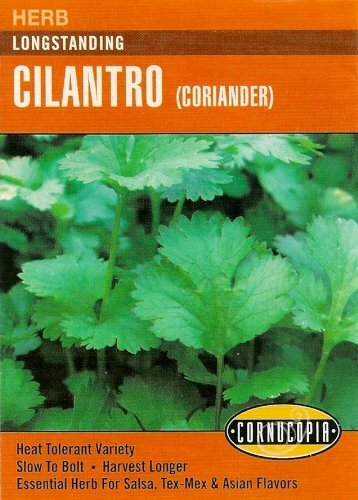 Use both seeds and leaves to add distinctive flavor to everything from soups and stews to baked goods. Essential for Asian and Tex-Mex dishes. 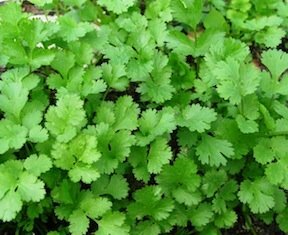 Popular Heirloom Variety Slower to Bolt in Warm Weather Use Seeds (Coriander) and Leaves (Cilantro) Essential for Asian and Tex-Mex Dishes Also Called "Chinese Parsley"